How do you like to style your home? Are you someone who loves carpet or are you a floorboards kind of person? Do you use paint or wallpaper? There are so many choices when it comes to creating your own unique style, where do you start? Then there are your window and outdoor furnishings. Blinds are a great alternative to curtains. Not only are they practical, but they also act as means of privacy. So, how do you know which blinds will suit the layout of your rooms? Well, here is a guide on how to choose the right blinds and shutters for your home. Whether providing kids with a room that will grow with them, or a relaxing master bedroom, plantation shutters add a luxurious look to any home. Plantation shutters offer you the ability to control the amount of light, shade and air that enters into the room, with adjustable louver widths, as well as swing shutters that can allow a comfortable breeze. By being adjustable, shutters such as these can save you on your heating and cooling costs for a long time. In addition, the designs with classic timber or various tones can fit any interior design. 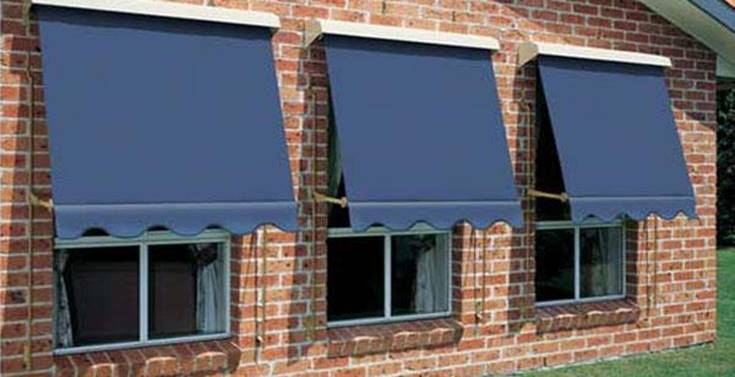 The use of outdoor blinds and awnings is great for protection against the elements. They can help to keep shade in, keeping away the harsh UV rays of the sun. They can also give more protection to your windows and outdoor entertaining area, such as a deck or patio, which can wither from prolonged exposure. If you want to furnish a small space, such as a home office or a spare room, retractable blinds are a good idea. They can fit to a small window frame and are reasonable to attach, instead of those such as curtains, which need attaching to a track. You can easily pick up a retractable blind from your local hardware store such as Wynstan Blinds and Bunnings. Prices can range from $65 to $200 depending on whether you want an awning for an indoor or outdoor area. When choosing the right window furnishings for your home, the ultimate goal is to have a sense of complete privacy in your own home. According to Ash Graham and realestate.com.au, if you want the sense of personal space, those such as blackout blinds give all the convenience of a roller blind with the addition of reduced visibility for prying eyes. When it comes to purchasing blinds, it is best to keep in mind, regardless of what style you choose, that much like your sofa, they aren’t a frequent purchase. For this reason, it is best to choose quality blinds. They may cost a bit more in the short – term, but they will last much longer. However, there is the chance of accidents. If you have those such as vertical blinds, occasionally the slat can break. I know what you’re thinking – another expense. Yet, that doesn’t mean you have to replace them. According to Lifehacker, usually “…a tiny piece of plastic breaks off at the top, the rest of it is fine.” They have a helpful way on how a simple paper clip can salvage it and stop you from spending out more money. Now, whether you are moving into your first home or a new home, there is my simple guide to help you choose something as necessary as the perfect blind or awning. Moreover, how it can make every area of your humble abode, even more private and personal for you and your family.